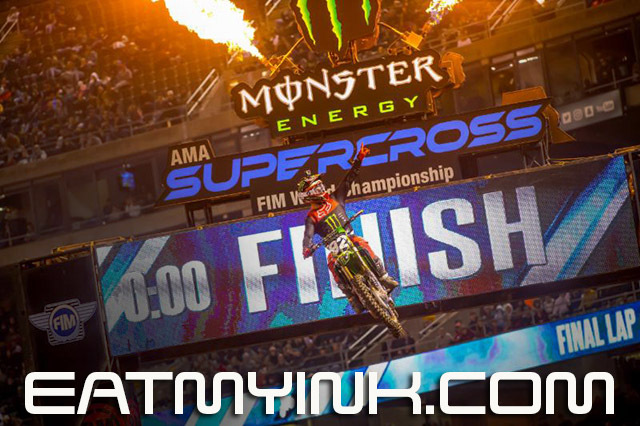 February 1, 2019 February 2, 2019 Tim HaileyEvent Coverage / SupercrossNo Comment on Supercross 5 Preview: Deluge in San Diego? The weather isn’t looking promising for San Diego on Saturday’s Supercross race at Petco Park—the fifth of the 2018-19 season. Getting out front and having clear vision will be one of the keys for the race. “It’s unfortunate to see that rain will likely force us to have our second mud race, but we got through the first one and we’ll not only be going after a good result but the win,” said 250 Western Series rider Adam Cianciarulo. Cianciarulo rolls into San Diego with two wins and the momentum to potentially take over the lead in the championship as he sits just three points back of the leader Colt Nichols.